Ironically, one of the biggest challenges of the age we live in is staying connected to everyone. At a time when we have so many communication tools and social media sites of every sort, one of the greatest ironies of life is that it is still difficult to keep up with everyone we know. Between work, family, getting to the grocery store, making sure the car gets to the shop, making all the kid’s sports events, and maybe an occasional outing with friends, it often seems we’re lucky to even get to our social media accounts! Working with Veterans on a regular basis, we see how easily they become disconnected from those outside the military and vice versa. It’s as if there’s an invisible dividing line and many civilians don’t often see or appreciate much of what their military friends and acquaintances do every day to serve the rest of us. Now, however, The National Veterans Art Museum has a way to help us all stay connected to Veterans and their stories. On one of those days when we actually can get away, or even if we just plan a get away to the Windy City, we all have an opportunity to share in the lives of soldiers and Veterans. The museum offers a variety of experiences as it is part gallery and part hands-on classroom, providing a creative outlet for veteran artists and educating the public. The museum began as an art exhibition by Vietnam War veterans who opened the museum in 1996. With the wars in Iraq and Afghanistan creating a new generation of combat veterans, the museum expanded to include art from and about veterans of all U.S. conflicts. The art varies greatly, but every piece is by or about veterans. In a small upstairs gallery in the artsy Portage Park neighborhood, the museum features a temporary exhibition — currently it’s a nine-year portrait project called “100 Faces of War Experience”, a permanent installation on the Vietnam War based on the book “The Things They Carried.” The Vietnam exhibit offers a literal and figurative illustration of the book’s title, with an extensive collection of everyday items that American troops carried in the jungles of Vietnam, from grenades to canteens, that visitors can pick up and examine. Also included are photos, letters and art showing the war experience through their lens. The museum also rotates exhibitions from its 2,500-piece collection. One of several on display now is Maurice Costello’s “Autobiography,” in which the phases of the artist’s life, motorcycle-riding young man; soldier in combat; drug-addled veteran and family man, are laid out chronologically. His experiences are reflected in sunglasses drawn on brightly colored, enlarged cutouts of his head. The nonprofit museum, which is supported though grants and donations, emphasizes education and consistently brings in groups of high school and college students. It also draws a mixed group, including those with no military connection, many veterans and even more loved ones of veterans who often yearn to learn about the experiences of those who don’t share them, Oitzinger says. Healing and understanding are themes that come up repeatedly in conversations with those connected to the exhibits, and it sponsors art therapy classes by licensed clinicians. Executive director Brendan Foster said that outside of that environment, the museum, and it’s art, the outlet it provides can help veteran artists who often deal with multiple stigmas — the perception that they are damaged, a persistent negative image associated with seeking help for the effects of trauma, and the very fact of working as an artist. Much of the museum’s collection deals with Vietnam, but with hundreds of thousands of veterans having served in Iraq and Afghanistan, new generations of artists are bringing their own style to the exhibits. Oitzinger said the GI Bill is now allowing more Iraq and Afghanistan veterans to get formalized art education. For Giuseppe Pellicano, an Oregon artist and Army veteran who served in Kosovo, the museum is the hub of the veteran artist community. Pellicano, whose work has been displayed there, said veterans showing their experiences through art can bring them closer to other Americans, who often misunderstand them. Exhibits are chosen by the board, and Oitzinger and Foster say they keep politics out of the equation. That is not to say the art is always apolitical — it ranges from anti-war to supportive of U.S. wars — but the museum strives to be open to all ideas and mediums. “We’re here to support that open conversation,” Oitzinger said. Encompassing that range is Matt Mitchell’s “100 Faces of War Experience.” Mitchell, who is not a veteran, spent nine years seeking to paint a cross-section of those who went to war in Iraq and Afghanistan to better understand their experiences. Starting in 2005, he traveled the country to paint 100 portraits and gave his subjects a chance to provide up to 250 words to go unedited with their portraits. Some wrote about their struggles, some wrote about their pride in service, some wrote poetry, a few wrote nothing; a collage of experiences veterans have, rather than the simplified version often portrayed in popular culture. For Mitchell, the National Veterans Art Museum was one place he could trust to portray those mixed messages, from subversive to flag-waving. WE CAN ANSWER YOUR AID AND ATTENDANCE QUESTIONS! 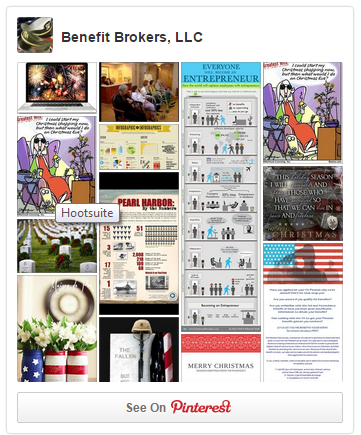 Visit Benefit Brokers, LLC’s profile on Pinterest.